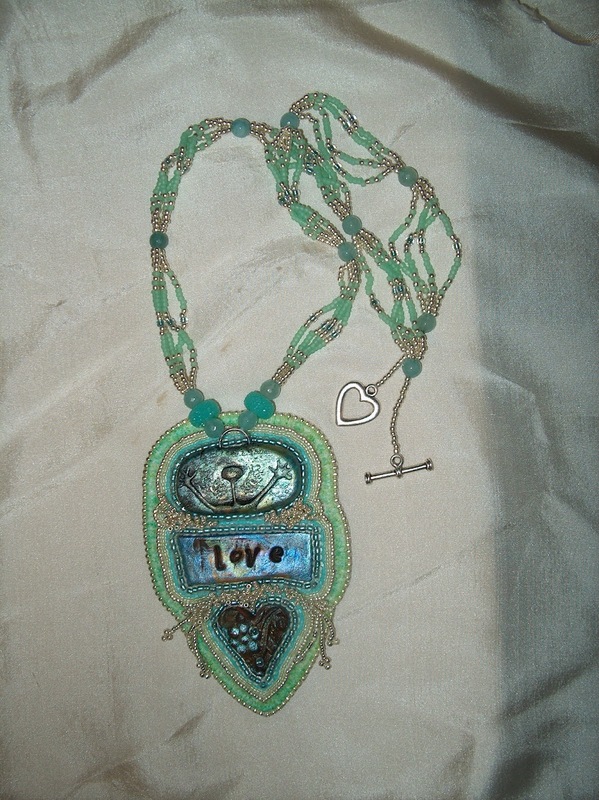 Judy, one of my wonderful Etsy customers made this amazing necklace!!! My goodness... 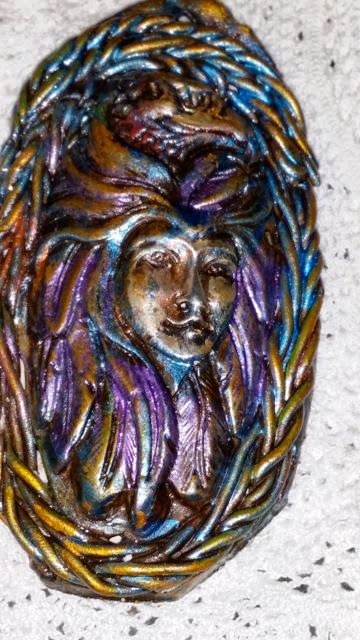 I just finest one of my most complicated and Spiritually Detailed Spirit Doll. You can see more pictures of her HERE and more about her story HERE. 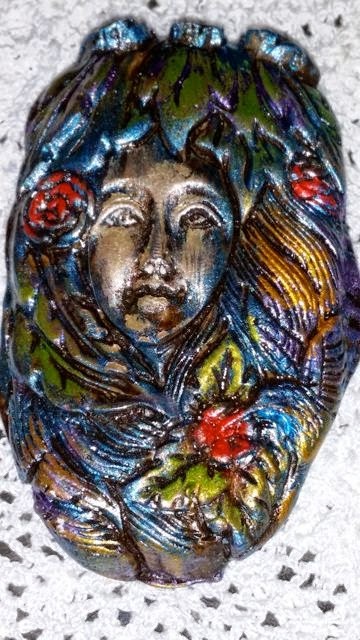 Hello dear friends.... Well, while I like to make my own molds, I found two enchanting face molds on Ebay: Eagle Goddess and Hummingbird Goddess. Using my own painting technique and by adding some braiding, they feel more like 'my own' work. I could never, in a million years, figure out how to carve out a mold like these. Also... here are several finished pieces from my friend Judith aka dragonlady3 over on Etsy. It's been such a blessing to make new friends, with amazing artists, all incorporating the Sacred in their art work. 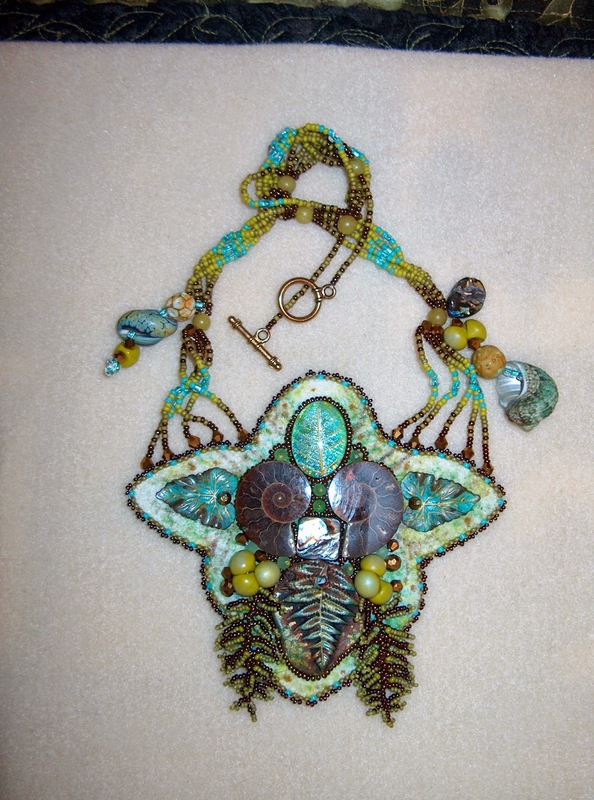 Look at what she's created using one of my fern pieces! 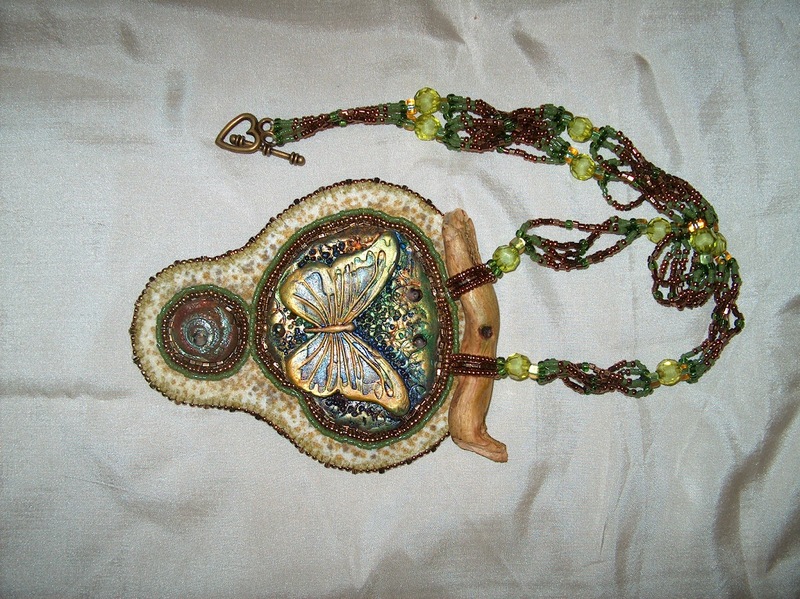 I love the colors in this one... she incorporated one of my butterfly pieces with a beautiful piece of drift wood... just lovely! 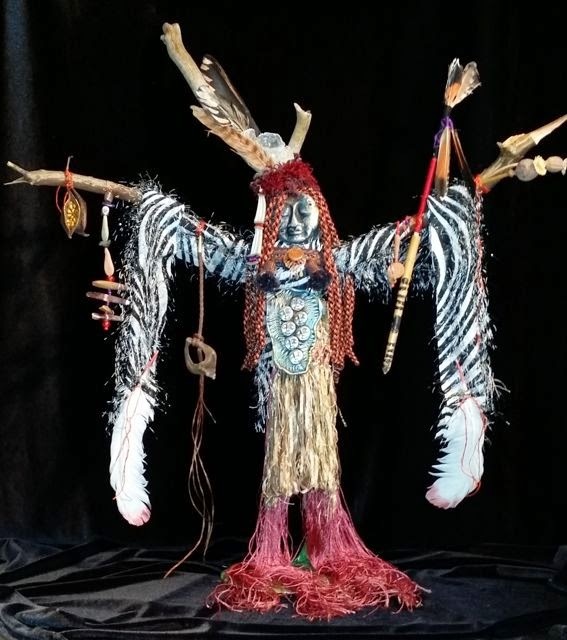 Check out my newest blog... dedicated just to spirit dolls!